Strasbourg Slugs Gang Up Against Gibraltar! …as far as they’re concerned, the actual people who live in the supposed ‘colony’ don’t matter a tinker’s cuss. Although it was plainly obvious even to UNprincipled swine that nobody on the islands wanted to be handed over to the Argies, year after year the rat-pack kept entertaining Argie representations reflecting Bueons Aires’ aggressive imperialism. I think that was one of the points I made in my speech in London demanding ‘Victory Before Peace’ in 1982 – and it was well received by the crowd! …throwing his ample weight about in a bid to intimidate the British MEP Claude Moraes, after he thwarted EU “no deal” legislation that proposed to describe Gibraltar as a colony in a footnote. Even A Europhiliac MEP Says That Juncker’s A Liar! …has so much true grit that I wonder what he’s doing in that party! So it’s not just Spanish expansionism that’s the issue. It’s the bloody Brussels Empire, determined, as a matter of what passes for ‘principle’ in their den of vipers HQ, to divide up HM’s realm, The Rock to Madrid and Ulster carved off, via the backstop, to appease Eire’s evil ambitions. Why will no senior MP in any party proclaim the truth. The EUSSR is The Enemy! 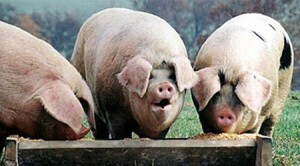 They’re like vultures, Trajani and Juncker and Tusk, the renegade Pole. It’s impossible not to hate them but the ones that are the worst are the ‘British’ Remainers, not the fools on the street marching for their foreign masters but the devils at Westminster. To watch the Commons debate Brexit is to observe treason in action. And this ‘European Parliament’ is what May is telling us we have to be part of, because she’s scared to have a clean break with Brussels! What a bloody mess she has made of everything. I wish this Moraes would quit Labour and join the Brexit Party. He has proven to us all as to himself what Britain is up against, a vengeful empire. For the same reasons that Napoleon and Hitler were our enemies, so is the European Union. Even the words they use to describe their imperial vision, the ‘European Project,’ are sinister, suggesting it is a work in progress, and subduing resistance like Brexit is part of the process in its completion. So if a British MP puts democratic principles before the ‘European Project,’ the MP gets fired. Easy to see why you call them the Strasbourg Slugs. Uppity Mexican Gets Slap On The Snout! 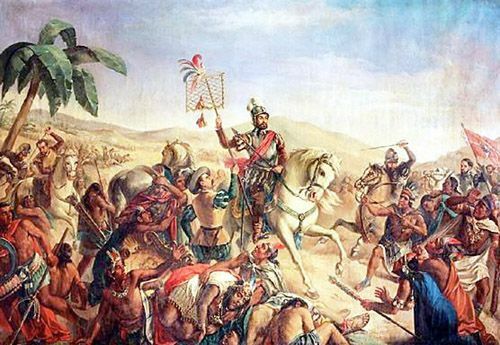 …for the behaviour ( ‘crimes’) of the conquistadores centuries ago is just that – ridiculous. What a contrast to Pretty Boy Turdo in Canada, grovelling to almost everybody for things that happened long before he, or his equally vile father, was born..
…with his inane apology for the ‘Irish Potato Famine’ – which befell the Emerald Isle a hundred years or more before he was (regrettably) born. Posturing like ninnies over events lifetimes ago is just embarrassing to observe. Nothing like damning the ‘utterly awful’ Spaniard with faint praise, Ross. He is quite within his rights to tell Mexico to buzz off. War and conquest have been part of the human condition for tens of thousands of years, or more. All the more so because the apologies just start more arguments, and make more bad feeling. I wish that BLIAR had kept his mouth shut instead of apologising for a potato problem that happened a hundred and fifty years ago. 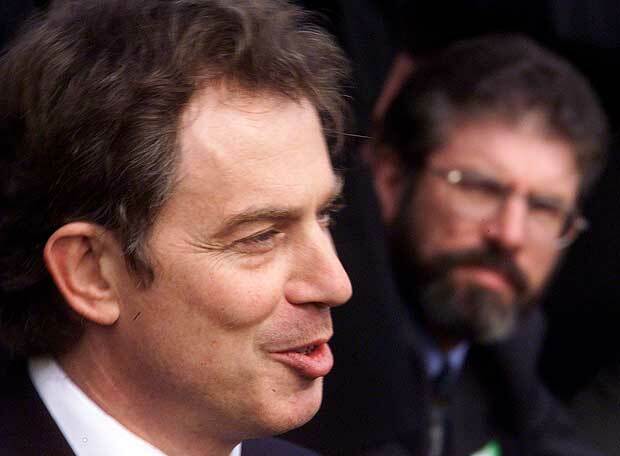 I wish Cameron had not made that shameful apology over so-called ‘Bloody Sunday’ – or he could at least have waited till Sinn Fein-IRA apologised for the years of treason and terror and violence they single-handedy inflicted on all parts of our United Kingdom. That’s one apology we will not be hearing. Mexico needs a slap-down. I just been reading they are refusing to do anything about the illegals using the country as a launch pad to break into the USA. Mexico is a rogue state. Treat it like one! Spain’s Patriot Party Prevents Pro-Perv Posturing! What an auspicious irruption into Spain’s legislative upper house! Thanks to their dramatic inroad into the popular vote in Andalusia recently, Vox has qualified to send one member to Spain’s Senate, and one member was all that was needed to thwart a pinko ‘declaration’ drawn up by leftists to mark support for policies combating homophobia in sports, ahead of the International Day against homophobia, transphobia and biphobia. So a big pat on the back to brave new Senator José Alcaraz , whose refusal to endorse the pro-perv call meant it failed the unanimity requirement. As even EuroNews ( probably reluctantly!) has to admit..
France24 (Mockery Of) ‘Debate’ – Every Voice Heard – Except The Right! Some ‘debate’ with Spanish Socialist Party spokesman Tony Fernandez having his say, about the conservative opposition parties that ‘ARE LIVING IN DENIAL..’ – maybe – but not as big a denial as France24’s denial of a fair hearing for parties that account for at least 40% and probably near enough 50% of the country’s electorate! There was too a Catalan government spokeswoman a very stern little female named Mireia Borrell, obviously sympathetic to the separatists on trial. Then there was an attorney, Jean-Marc Sanchez – who confined himself to fairly factual remarks. And of course somebody from the Spanish Opposition parties, of course! This is France24 we’re looking at. No, the fourth studio guest was an ‘International Arbitration Specialist’ -Eduard Salsas, a rabid right-hater, to whom displays of patriotism are upsetting. He couldn’t even bring himself to name Spain’s patriot party but Vox was his obvious target – the Spanish patriot party which did so well in the recent Andalusian elections. Vox Pop, Vox Dei? Spanish Resistance Rising! Edouard the Extremist showed immense insight by adding that If this party is in parliament, it means the failure of the other parties. True – no credit to him for stating the obvious – but not just failure on Catalan matters but on the repeated failures to stand up to the pro-crimmigrant EUSSR! The EU Commissioner for Home Affairs, Cecilia Malmstrom, said she was “very concerned” about Spanish police firing rubber bullets to deter migrants. She added that the actions of any EU state protecting its borders should be “proportionate”, and should respect fundamental rights and human dignity. Invasion! So Brussels Stabs Spain in the Back! …on the issue of violent alien savages staging bloody invasions of sovereign Spanish territory. Just another example of France24’s BARE-FACED BIASED BIGOTRY! Spain Lets Europe Down, Again! I was encouraged to see that the two big ‘rightwing’ parties in Spain were responsible enough to work with the real ( no inverted commas!) rightwing party Vox, in order to remove the province of Andalusia from socialist control. But there is genuine urgency about removing the deeply irresponsible socialist government in Madrid, after the disgusting betrayal of Europe we saw on last night’s news, yet another crimmigrant cargo given a ‘welcome’ in the Spanish port of Algeciras. …of not just Italy but also Malta to let the maritime trash-taxi service unload in any of their ports. Madrid’s mad open-house policy can only encourage further illegal alien intrusions. Decent Spaniards need to stop the nonsense. ….to blight the lives of any and every community they choose to leech off. A timely reminder as Britain fumbles the illegal challenge on the Channel. We should do what the Moroccans do. Let’s have ‘Hands across the Pyrenees’ and bring down both the Paris and Madrid traitors to Europe! But I do not know Spanish for Yellow Vests! Spain of all countries should be most true to the cause of defending against invasion from the northern shore of Africa. A thousand years ago that was where the Islamic conquest was launched. Those invaders held the Spanish people in Islamic oppression for many, many years until the Reconquista. Spaniards drove the alien overlords back into north Africa. Now the war is rejoined but the Spanish government is on the enemy side. My name is Spanish but I am not. Agenda 21 . NWO . Bilderbergers. All planned for many years to destroy our countries. Dog-Collared Appeasement-Monkeys and EuroNewsBias, Again! ‘Euronews’ Or Eurabian Pravda? 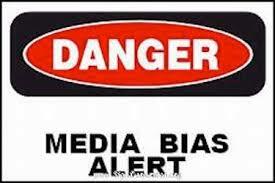 Anti-UKIP, Anti-USA – Brazen Bias! …but because I hardly ever read it. It’s a lousy lefty cess-pool. 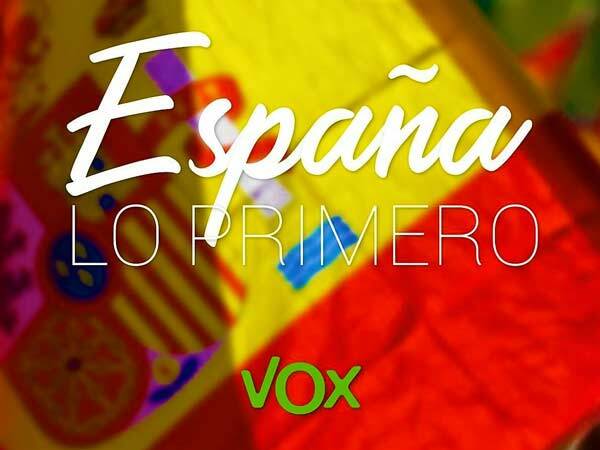 – this week about Vox, the Spanish patriot party which did so well in the recent Andalusian elections. 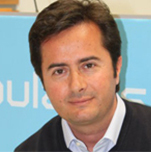 Manolo no doubt speaks from the heart, but his words tell us nothing about the policies Vox offer. Instead, we get some woman whose only claim to fame is that she’s ‘married to a Moroccan,’ who contributes this meaningless pearl of wisdom. …do we get a hint of the effect that’migrants’ are having on the area. EuroNews doesn’t do as good a job of specifying the ‘problems’ that come along with ‘migrants’ as did Gatestone several months ago, so I append that link again. Interestingly, Gongora’s party affiliation is concealed by EuroNews but I duly investigated and he belongs to the ‘Popular Party,’ the fairly fake ‘conservatives’ who have done little or nothing to stop the crimmigrant tsunami which is engulfing swathes of Spain. But they won’t easily be put down, because they leech off public funds, as the relevant link above explains. As to what Vox actually stands for, we obviously won’t find out from the pinko smear-scribblers employed by EuroNews. Almost none of the media gives fair coverage to the patriot populist parties. With Euronews, BBC, France24, CBC, ABC and DW, it’s particularly reprehensible, because they rip off public funds, including all the tax-payers who vote for parties opposed to the broadcasters’s policies. We really have to prioritise privatisation as a key part of our programme. More than a few times in the past year we have expressed both puzzlement and dismay that, almost alone among the historic nations of Christendom, Spain has not got a significant patriot party. God knows such a phenomenon is badly needed! They are merely taking a stand for patriotism and values which most people in most European countries long took for granted, till the cultural marxist virus was unleashed into the educational system in the post-1960s moral collapse. Look at the filthy crimmigrants storming Spain’s borders. Finally, after several years of languishing in obscurity, Vox is now tipped to break through in any election called soon – only one predicted seat in the legislature, but a toe-hold is better than a closed door! Morocco (Again) Readier To Defend Spain Than Spain’s Own Left Regime! Once again, an Arabic-speaking, Muslim majority country has set a first-class example on the crimmigrant issue to a spineless Spanish government which is stuck in appeasement mode. The far-left Telesur tv report typically omits the key word ‘illegal’ from its story, but otherwise what it has to say is a joy to read. Although the crimmigrant was only wounded, it should be noted that the gun-shot saved Spain from an incursion by no less than FIFTY EIGHT wannabe bludgers! …with the agreeable improvement that they’re in the hands of Moroccan security forces. Imagine if they’d got beyond the reach of the gun-boat! NGO Imports Murderous Savages – Impound Aquarius! Those Moroccans have the right idea. I was reading in Gatestone about the jihadist network inside Spanish prisons, one of the worst leaders being from Morocco. But here is the most interesting part of it, which supports the need for capital punishment that you have written about many times. So if the disease is incurable, the answer is to have them put down, like that rabid dog in the picture should be. You know your ancient history, judging from some of what you have written in the past. When the Roman Empire was in decline, they took to relying on tribes along their borders to defend the empire against barbarian invasions. After a while, the tribes whom they made their protectors became their conquerors. History never repeats itself but…? So what’s missing from this sentence? While firing on a migrant boat trying to cross the Mediterranean between M’diq and Fnideq, the Moroccan navy killed one of the migrants, a 20-year-old woman. Read and re-read the whole report – you will see that this wretched woman was engaged in a totally illegal attempt to violate Spanish borders. If she was some dimwit primitive, it might be argued that she was conned aboard the vessel, but not at all! According to local news agencies, she was a law student at the Abdelmalek Essaadi University of Law campus in Martil, a town on the Mediterranean, so she must have known perfectly well that she was taking part in a lawless enterprise! …the migrant boat did not respond to the navy’s warnings, so the navy resorted to gunfire. The incident is the first known time that the Moroccan navy has fired at a migrant boat. Let’s hope the hoopla and harangues from the Left will not result in this being the last time! If more shots were fired on boats bearing crimmigrant cargo, there’d be a lot fewer illegals trying to invade Spain, or Italy, or Greece, or Malta. A video of the incident shows migrants frantically making their way back to the shore to escape police. And THAT is how it should be! How dare these uppity louts demand the right to gate-crash other people’s countries? But given the antics of an ‘NGO’ (yes, even Morocco has its very own sticky-beak outfits!) it’s no surprise such insolent shrilling is to be heard. The National Observatory for Human Rights (ONDH) went into rant-mode about how security services in Tangier and other northern cities and towns like Martil have arrested young Moroccans and sub-Saharans trying to escape to Europe. They then transported the migrants back to their home cities under strict supervision. Let’s take time to locate the email address of the appropriate Moroccan government office and congratulate them on their sensible crack-down on these presumptuous prats. “Hundreds of young people in Martil flood to the town’s shores with the hope of migrating irregularly across the Mediterranean,” railed ONDH, without a single admonitory word telling the aspiring law-breakers to smarten up and respect the law! How irresponsible can they get!?! The report also reminds us that more than SEVEN THOUSAND Moroccan crimmigrants attempted to reach Europe in 2018. And anybody who thinks that’s not so many, should take note of the sheer scale of the migrant menace already entrenched on Spanish soil. 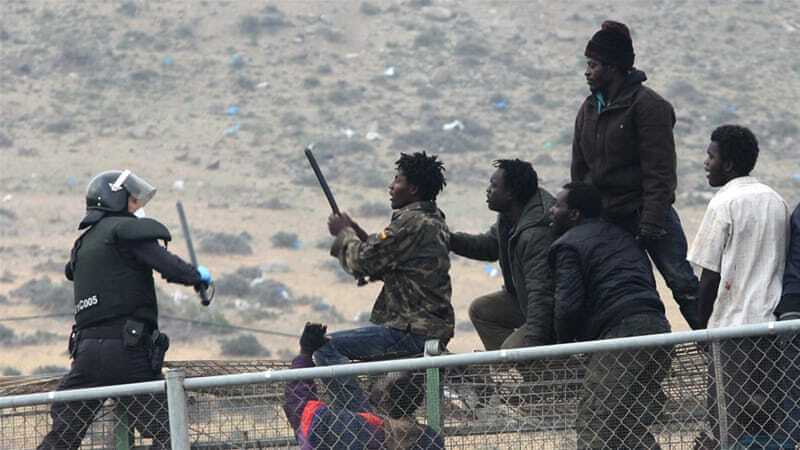 Madrid’s Ministry of Interior has acknowledged that more than 250,000 undocumented Moroccans are currently living in Spain, with some 5,000 of those being so-called “unaccompanied minors.” – bludger-brats, sponging off the Spanish state. ….again I recommend you read the excellent Gatestone report we have noted before. Why should they not be shot at? They are illegals, criminals, and no tears should be shed if they pay the price for their crimes. It shames every European navy that they’ve left it to the Moroccans to do what’s needed to stop these illegal aliens. A few more bullets fired, a lot less illegals trying to reach Europe! I wish we had more people in Congress demanding our border security would do what the Morocco gunboat men did. Depressingly, America is in such a bad way that even just arresting illegals gets a storm of protest, stirred on by the media. If Trump gets the Wall built, I for one hope he makes sure machine guns are mounted on its ramparts. They have no grounds for complaint if they break the law. Today we read of an alternative approach. Give the savages everything they demand, and be quick about it. With the EUSSR still pretending to seek ways of ‘deterring’ illegal aliens from gate-crashing – https://www.reuters.com/article/us-europe-migrants/eu-executive-to-propose-new-measures-to-deter-migrants-idUSKCN1LM26L – it’s interesting to see the true, subversive attitude of the “‘European Project’s “ elite as revealed in the Spanish press. Although there have been encouraging noises from the ‘mainstream right’ ( which experience in other European countries has taught us to hear with a pinch of salt!) no patriot party there has so far gained serious momentum! Yet that’s what’s needed to fight the arrogance of un-elected flunkeys like Tomáš Boček. I thought I’d check, and he’s a Czech! And Brits please note, the ‘Council of Europe,’ under whose auspices his sticky-beaking goes on..
…is financed from YOUR taxes, as well as Spain’s, and the Czech Republic’s and another couple of dozen countries where most people, like most of you Brits, have no idea they’e paying for his arrogant intercessions on behalf of crimmigrant undesirables. We have often enough praised the Czech Republic for its sensible attitude to the migrant menace. These callous EurocRats make me sick! Their doting dedication to ensuring lawless primitives are given cushy quarters…. ….and permitted to roam like beasts of prey, is in nauseating contrast with their shocking indifference to the safety of decent citizens in the nations under attack. I had to make an early start today so I am just catching up on what you have had to say and this is interesting. Who does appoint these nosey parker people to highly paid positions, which we have to pay for.